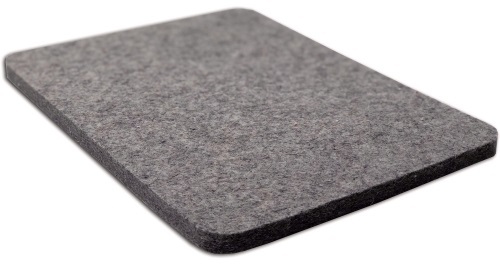 This 100% wool pressing mat absorbs steam essentially pressing both sides at once. Its dense 1/2 inch design is the perfect ironing surface for pieced blocks and embroidery. These wool pressing mats are convenient to keep close to your sewing machine. 9" x 12" x .5"